Charlotte is a porcelain Victorian style tile. 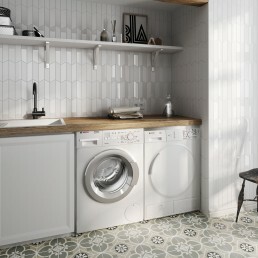 A decorative tile that can be placed together as a four tile pattern that creates an elegant and sophisticated effect. 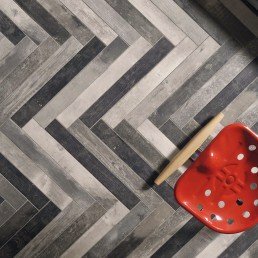 Charlotte is a vintage inspired collection that imitates hydraulic flooring, it has a distinctive style giving you a small sample of mid-19th century France, an ideal choice for a luxury project. 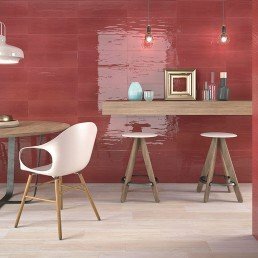 A tile such as the Charlotte expels confidence and is extremely versatile, meaning this tile can be incorporated within a floor or wall design. An exciting range that can easily be customised to apply dynamism to the aesthetics of a space in which it is installed. 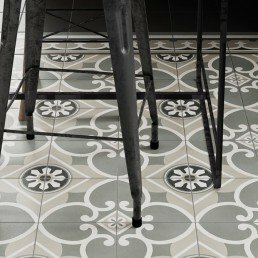 Finished in matt, this Victorian style tile is suitable and ideal for transforming various spaces domestic and commercial. 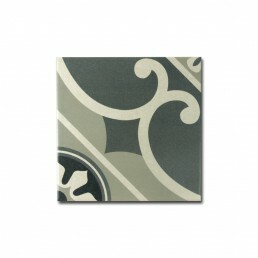 Charlotte offers a sense of comfort incorporating black, cream, taupe, grey and white. 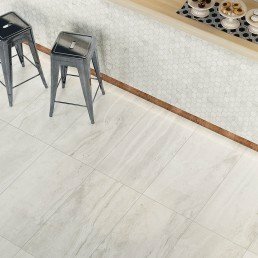 The beauty of Charlotte is how no special maintenance is required to keep the tile looking effortlessly beautiful. 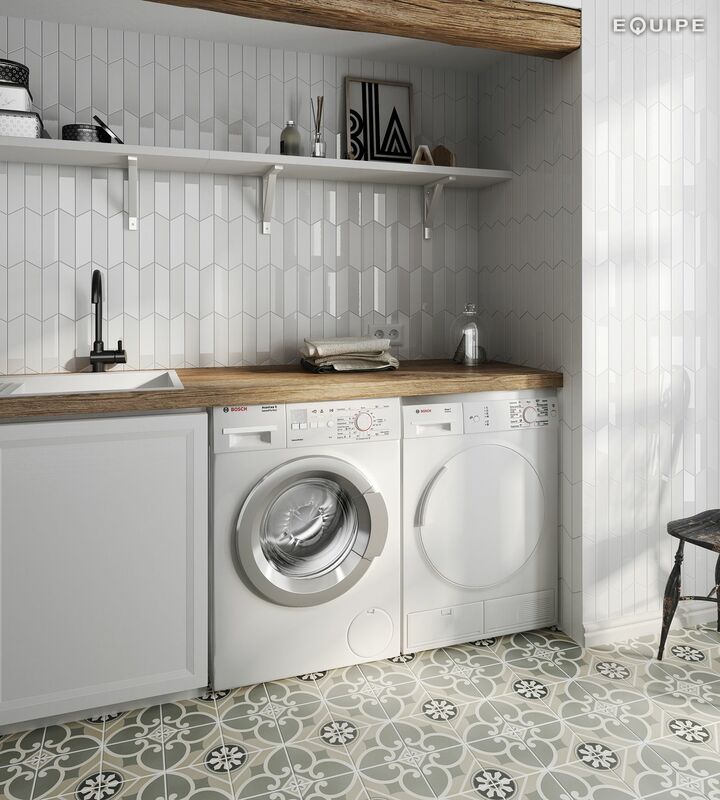 The timeless charm Charlotte carries would create a glorious entrance flooring, this porcelain Victorian style tile is paving the way for use in any domestic setting, kitchen, bathroom or summer house, this tile is too tasty to be limited to placement. Charlotte measures 200 x 200 mm on each tile, there are two distinctive corners that when placed as a four make up two unique patterns which are then repeated throughout the layout.